That’s my reaction to this. As Texas regulators weigh a response to President Obama’s proposal to combat climate change, the operator of the state’s main electric grid says the plan would raise energy costs and threaten reliability – particularly in the next few years. In an analysis released Monday, the Electric Reliability Council of Texas (ERCOT) said the plan — which requires states to shift from coal-power to cut carbon emissions — would significantly increase power prices in the next few years. But those extra costs would fall in the next decades as Texans reaped long-term savings from investments in solar power and energy efficiency. Under the federal proposal, Texas would need to slash carbon emissions from its power plants by as much as 195 billion pounds of carbon dioxide in the next 18 years, according to a Texas Tribune analysis. That 43 percent reduction is among the larger percentage of cuts required among states. The EPA suggests that Texas could meet its goal though a combination of actions: making coal plants more efficient, switching to cleaner-burning natural gas, adding more renewable resources and bolstering energy efficiency. Texas would have until 2016 to submit a plan to meet its carbon target. The ERCOT analysis comes as Texas regulators prepare to file formal comments to the EPA ahead of the Dec. 1 public comment deadline. 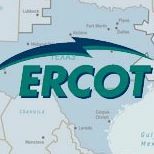 “Given what we see today, the risk of rotating outages increases,” Warren Lasher, director of system planning at ERCOT, said Monday in a media call. The changes would hit coal-dependent communities around Dallas and Houston particularly hard, Lasher said. Those areas would quickly need new power lines to connect with new power sources. That could prove costly. For instance, officials project a major transmission project for the Houston area to total $590 million. “All of those costs could ultimately be born by consumers in the power bills,” Lasher said. And I’m okay with that. The costs would be borne in the short run and would likely lead to lower costs as more renewable sources came online and became part of the statewide grid. As the Rivard Report reminds us, there’s a lot of that happening already. The pollution reduction benefit from the EPA’s directive would be substantial as well. If ERCOT is trying to scare me, it’s not working. I’m sure the EPA would be willing to be flexible with Texas on the schedule if Texas negotiates in good faith and demonstrates a real commitment to meeting the stated goals. Or Texas can sue and lose and get no help in getting this implemented as smoothly as possible. Seems like a pretty easy choice to me. Texas Clean Air Matters has more.